When you sign up for a new credit card, usually the most important elements of the terms that you consider pertain to interest rate, grace periods and any applicable fees for having access to the card in question. What many credit card holders do not know is that their card is very likely to come with certain perks and benefits that can be used in select situations – whether that be a flat tire or a personal concierge service. Seeing as how you are in some way or another already paying for these services, it makes sense to use them, right? Below, we will outline the most common credit card benefits that countless consumers are overlooking. Various credit cards come with a standard roadside assistance policy that is a bare bones version of the type of service you would expect from a club such as AAA. Most policies on credit cards that offer this service will provide free assistance if you run out of gas, develop a dead battery or otherwise have a minor mishap such as a flat tire. This usually only applies if you are in your own car; if using a rental car, the first thing you should do is call the rental company. Nevertheless, for those who have credit cards and do not use rental cars often, this perk can come in handy once in a while. When traveling, it helps to have some assistance in working out your itinerary so you can spend more time doing what it is you love. 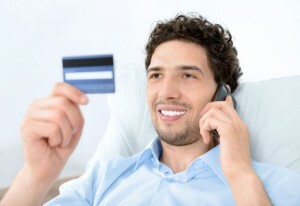 Many credit card companies have made the move in recent years to offer complementary concierge services for their cardholders as a way to make their experience with the credit card feel more personalized. Services offered by concierge programs include making reservations at restaurants and shows, giving tips on points of interest around the city and otherwise assisting travelers in their day-to-day experiences in a new place. We all wonder whether or not we need the rental car insurance as offered by the company when using one of their vehicles, and the answer usually is no. Most insurance policies cover you when operating another vehicle – even a rental vehicle – but most credit cards also offer added protection. In the event of a collision, the rental car collision protection on your card will cover the amount that your regular insurance does not, helping protect you from a costly mistake. These are just a few of the perks that come with owning a credit card. If you are unsure of what your particular credit card offers in terms of benefits and perks, then be sure to give your card’s customer service hotline a call to find out more. You may have an array of benefits that could come in handy in a variety of peculiar situations.